Why Are My ICT Costs So Unpredictable? We promise to help you reduce your overall ICT costs and enable accurate, stable budget forecasts. Why Is Peter Spending So Much Time On ICT When He Should Be Teaching? Here at Atlantec, we want to free you from having to compensate for a poorly implemented ICT system and provide you with the time you need to focus on what you do best. Why Do Our Systems Perform So Badly? This could be due to a number of reasons, ranging from inadequate hardware resources to a poorly maintained system. We will ensure you have the right tools that are maintained in accordance with industry best practices. We can put your mind at rest by ensuring your data is secured, backed up and recoverable according to your requirements. All types of schools are challenged in the face of increased competition to show innovation, to increase student engagement and to look for efficiencies. Atlantec is here to help you to meet these challenges, enabling you to automate tasks, empower teachers, foster parental involvement and promote greater collaboration among students. Did You Know That Academic Institutions Get The World's Most Popular Productivity Platform For Free? IT is often over complicated, over engineered and not fit for purpose. At Atlantec, we are extremely passionate about your productivity and this is ultimately our core focus and vision. Starting with a clear understanding of your requirements, we will introduce the right technology to allow you to work the way you want; with maximum flexibility and without limitations. We're a Microsoft Education Partner so we can advise on the very best Microsoft has to offer. We are a Microsoft Authorized Education Reseller (AER) so we can advise on and sell Microsoft licensing products. All our staff are DBS cleared for added peace of mind. We have over 5 years experience managing ICT in education. We provide advice on the very latest technologies in education and innovative new ways of working by following global trends. We are based locally in your community. Office 365 services (Subscriptions, Migrations and Administration). End user support (remote and onsite). Core infrastructure support which includes monitoring and maintenance activities (Servers, networks etc.). Online service portal so you can track our level of service to you. Incident management options via: Telephone, email, web portal and smartphone app. Hardware leasing options which reduces high capex outlay. Extended hardware warranties on any hardware over 1yr and less than 4yrs from purchase. Support for all device types / platforms: Servers, PCs, Laptops, Desktops & Tablets. Our ICT management service covers all lifecycle stages from strategy and planning, system design, deployments, upgrades, migrations, maintenance and support. Our vision for Schools is simply to create a fun, safe, inspiring and productive environment for learning. Standardise your environment for a consistent user experience. Secure your environment by protecting student data and Internet content. Monitor and maintain your environment to ensure minimal downtime. Increase your productivity and flexibility: What you need, when and where you need it. Keep you updated using the latest technologies. Enable simple collaboration and communication. Save you money by simplifying and consolidating your ICT and take advantage of cloud services. Your school needs more than just ICT support. You need a complete end-to-end solution. Our academic customers already receive preferred pricing and generous discounts on our services. 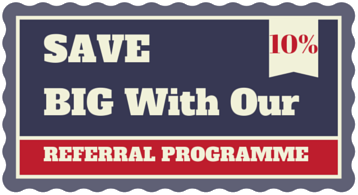 If you enjoy the service you receive from us and would like to spread the word to other schools then take advantage of our referral programme. For a limited time, we're offering 10% off your managed support agreement - all they have to do is sign up to our annual support agreement and you'll both be rewarded. Refer 5 schools and you could be on your way to saving up to 50% off your annual agreement! Get in touch to learn more. Did you know that your school could provide the latest version of Microsoft Office to all staff and students to install for personal use? Did you know that it could cost you nothing? Can your teachers and staff access school data, chat and collaborate securely online from anywhere? We want to help you uncover the hidden value you may already be entitled to.